The markets opened higher today in line with the Asian markets. The buying interest is seen among the Realty, IT, Capital Goods and Consumer Durables stocks. However, FMCG and Oil & Gas stocks are witnessing selling pressure in the early trade. The broader market indices are also trading higher with both the BSE Mid Cap and he Small Cap index are now trading with a gain of more than 1% each. 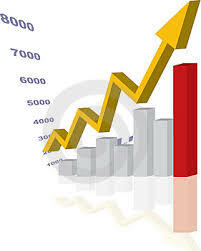 The BSE Sensex is now trading above the 14500 mark while the NSE Nifty above the 4300 mark. The BSE Sensex is trading up by 106.73 points at 14,529.46 and the NSE Nifty is trading higher by 20.50 points or (0.48%) at 4,313.45. The BSE Mid Cap increased by 59.46 points or (1.18%) to 5,119.30 and the BSE Small Cap grew by 74.60 points or (1.30%) to 5,793.63. The Overall market breadth is positive as 1188 stocks are advancing while 376 stocks are declining and the 37 stocks remained unchanged on BSE.